This graceful, handcrafted, Western style bench will be a focal point wherever it is placed in your home decor. The bench has a comfortable, well padded seat, and on each lateral end of the bench are tall, curved, elegant armrests. 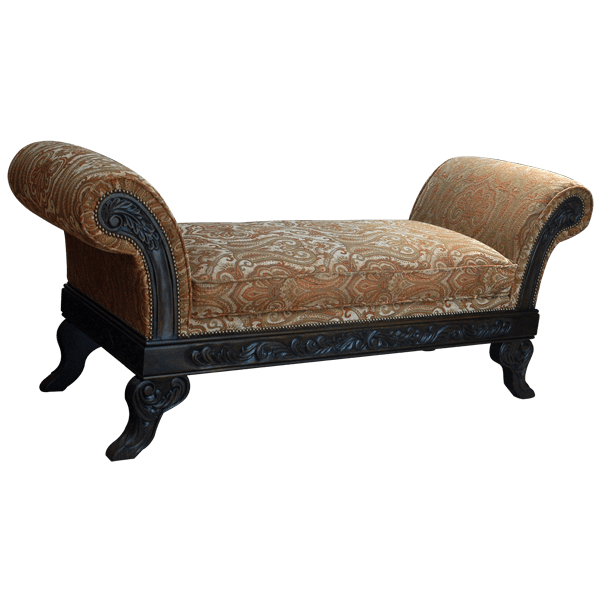 The seat and the armrests are upholstered with matching, fine, patterned fabric, and the upholstery is precision hand tacked to the frame with beautiful, gilt nails. 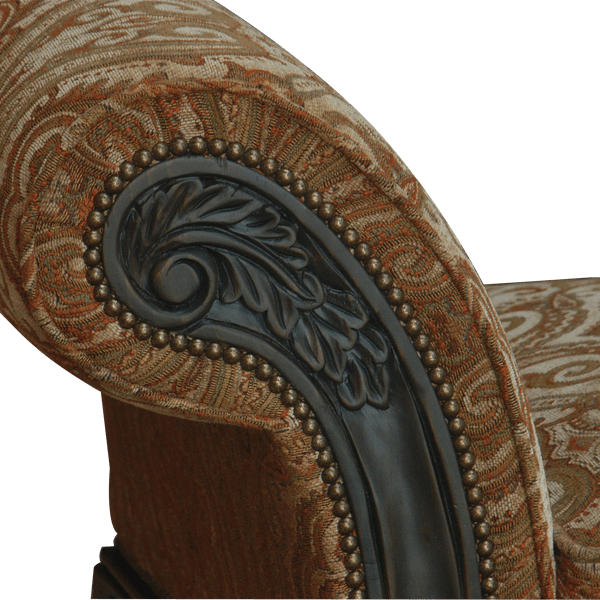 The front of each armrest is adorned with an ornate, curved, solid wood design, which is embellished with exquisite, hand carved, floral details and decorative, gilt nails. 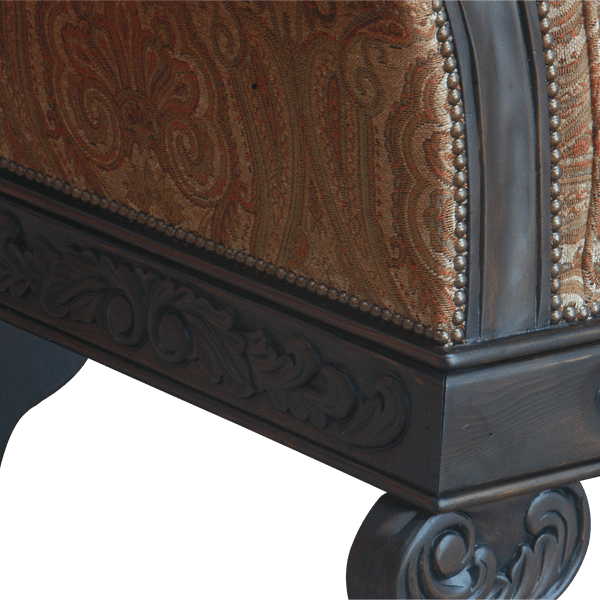 The seat rest on a solid wood base, and the front of the base is enhanced with ornate, hand carved, scroll and floral designs. The bench is supported by gorgeous, curved legs, which are enhanced with hand carved details. The bench has an opulent, dark finish, and it is made with the best, sustainable, solid wood available. It is 100% customizable.